Let the kids stir the rice and watch it brown! Well, my brothers and I loved this recipe! I must confess, though, that the real recipe title is not the nice little title you see in this article. I didn’t want to turn anyone off right away with what we really called it. Kids will love the title, though, as it was made up by several kids—my brothers and me. How would you feel about eating “Bean Barf”? Well, that’s what we called it. Why? I guess because it was a dish with beans and a whole bunch of other ingredients thrown in there with it. Bean Barf! Yummy. It was a dish that wasn’t even a real recipe but just made up by my mother who was creative in using items she had on hand. 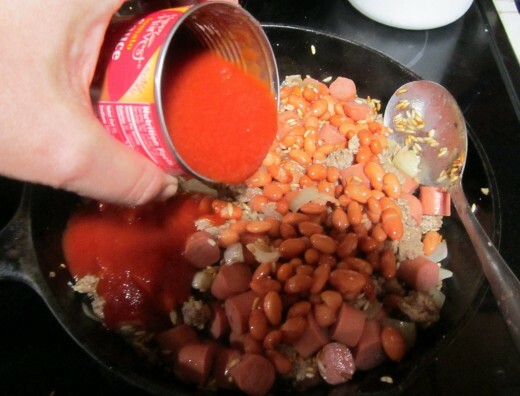 The beauty of bean barf is that you can alternate items in the recipe to fit what you have in your kitchen at the time. 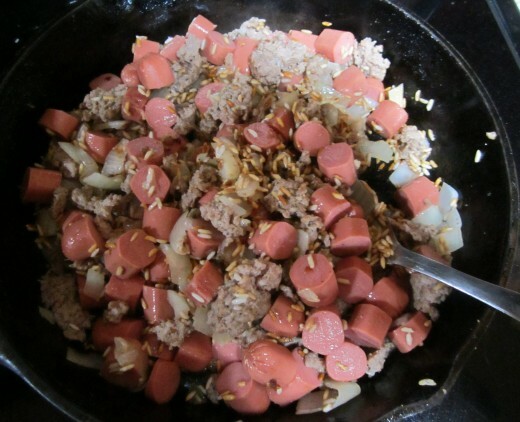 The key ingredient, a favorite of most kids, is a package of hot dogs, of course. Hot dogs are what make Bean Barf fun! 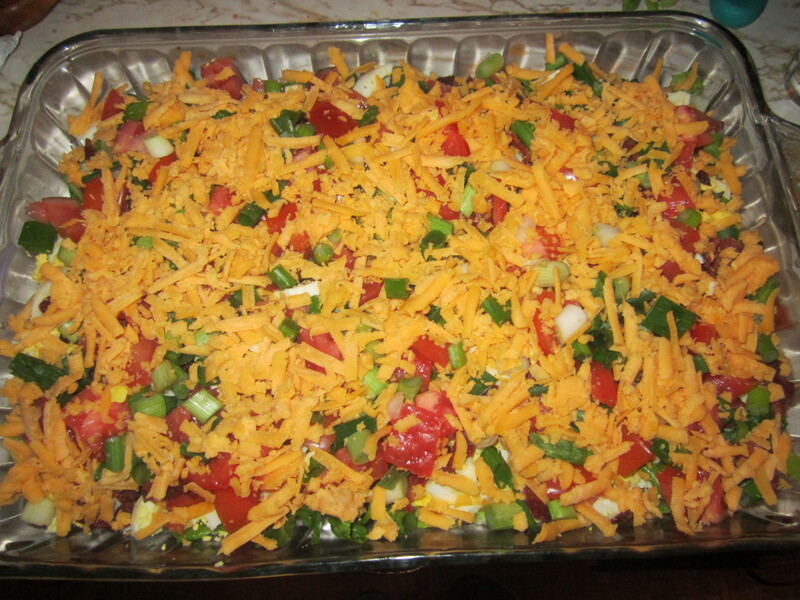 For the sake of this recipe, I will add approximate amounts of all the key ingredients that are used. Remember, though, that you can substitute items, or alter amounts according to your or your children’s preferred tastes. Even the kids can chop hot dogs; you don't need a sharp knife! Add in those hot dogs! Along with ground turkey, I used turkey hot dogs in the recipe this time. I couldn't tell any loss in flavor. Add tomato sauce and choice of beans. For the last batch I made, I didn't have ground beef but did have ground turkey. I also used turkey dogs. 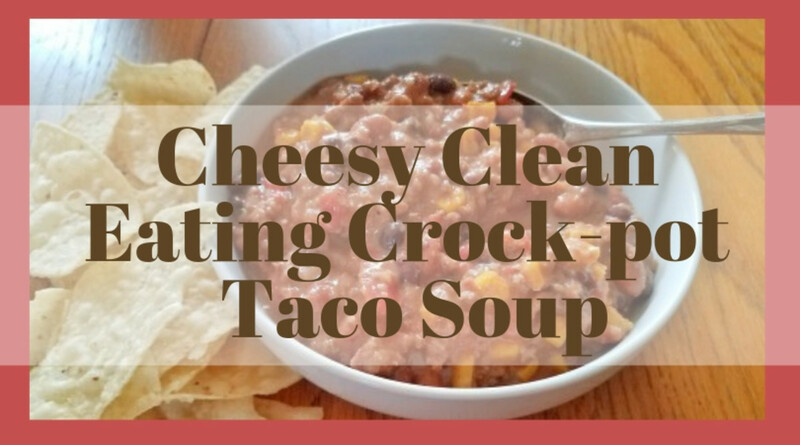 Both of these substitutions made this recipe lower in fat--and still downright tasty! Heat oil in skillet until hot. 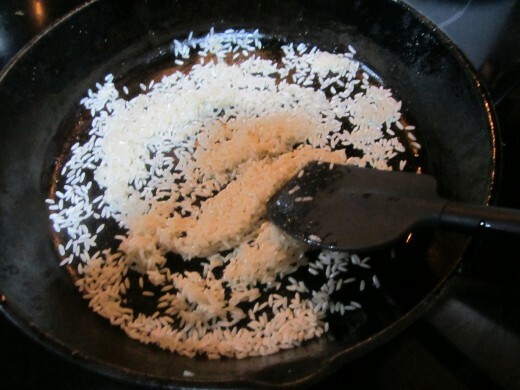 Cook rice until browned. 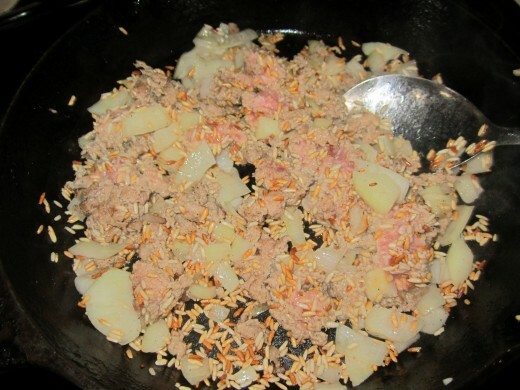 Rice will still be crunchy but will soften some throughout the cooking process. 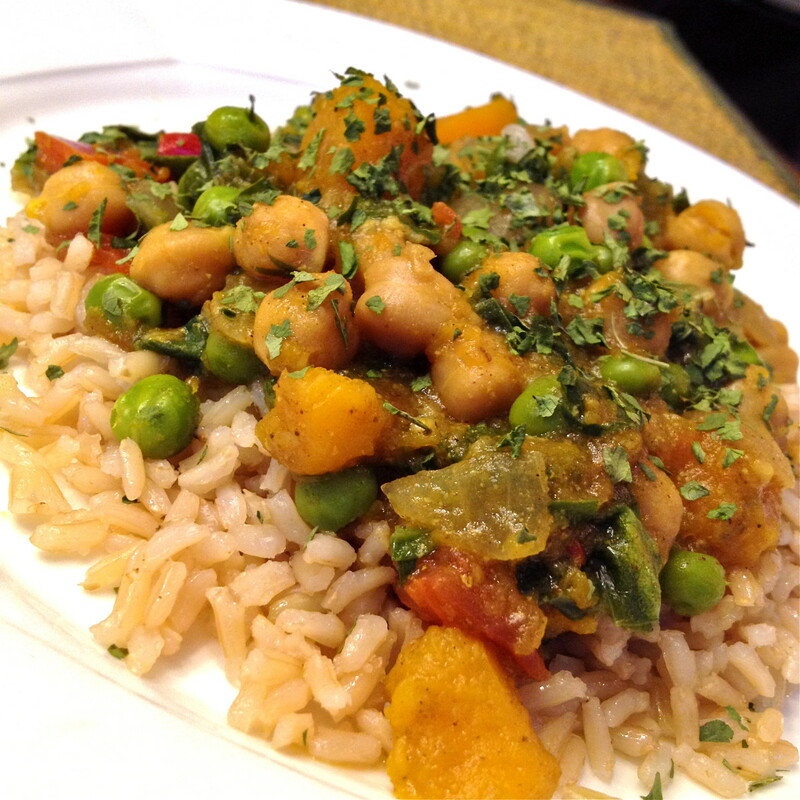 The slight crunchy taste of rice makes this recipe fun and interesting. Add beef and onion, cooking until browned. You may substitute with ground turkey, if you wish. Add in beans and tomato sauce. Stir all together. Add in ketchup, mustard, Worcestershire sauce, salt, and pepper. Add in a little at a time to get desired taste. 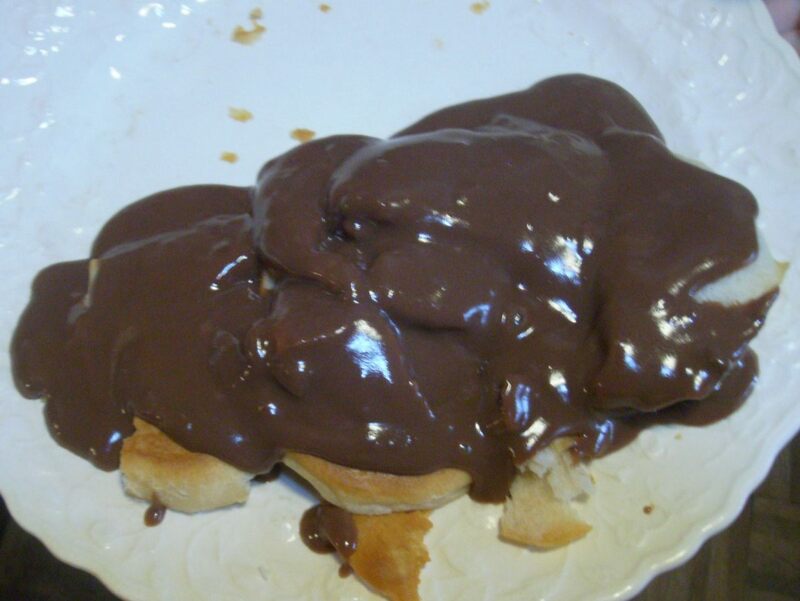 Optional ingredients to suit tastes are sugar and barbecue sauce. What you use may depend on what you have on hand. That's how my mom did it, and how we continue to follow in that tradition! Let dish simmer and flavors blend for a few minutes before serving. Bean barf is good with corn and buttered bread. It is fun, easy, and tasty. I never see chicken franks. That's a good idea, too. I just know how kids love hot dogs. Thanks for the vote! This looks like a fun recipe and one that children would enjoy helping to make in the kitchen. The name is a little misleading for such a good idea. 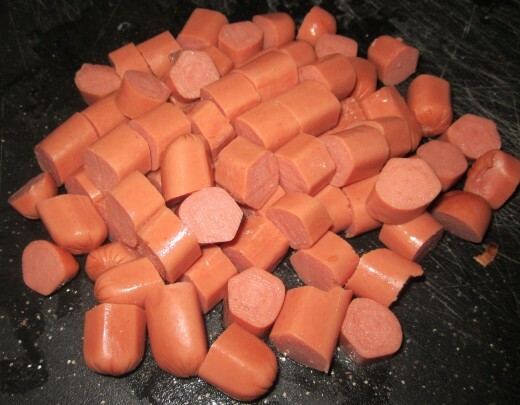 I would probably make it with chicken franks, which have a more mild taste. Thanks for sharing. Voted up! Yeah, Kelly, you should try it with the kids. It probably is quicker to make than what I estimated in the hub. Hope you like it! Cardisa! Shame on you! Worms! LOL. Try it--you'll love it! It IS delish, urmilashukla! Try it! Hey Vicki - I bet you my kids would love this. I like it too because I really could whip something like that up in no time flat. Sometimes a mom needs what I can an "emergency meal"! This might be one! I am gonna give it a try! 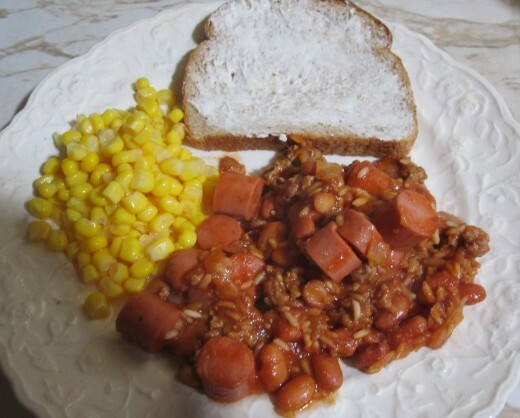 Okay Vicki, I have to be honest, the rice in the photo does look like worms....lol but I am sure I would love this bean barf of yours. 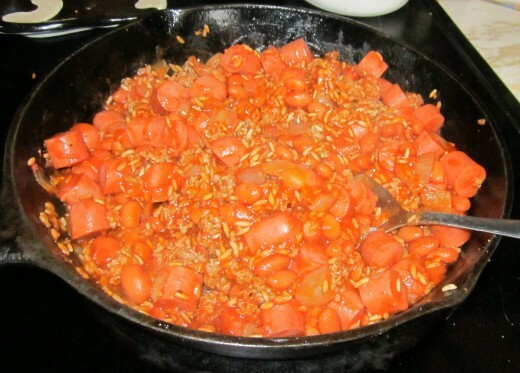 I love baked beans so much that I would try it with the rice and some other meat for I don't eat processed sausages any more. haha, Susan! That's the name we came up with as kids, and it stuck. It is so good, though. We still love it as adults. And the ingredients are so flexible--can be changed out depending on what items you have on hand. Try it! Look so colorful and delicious. Another great recipe for the kids. Thanks for sharing it. Voted up! Bean Barf does sound kind of yucky, but after reading your recipe I may have to try it with the turkey dogs and ground ground turkey. 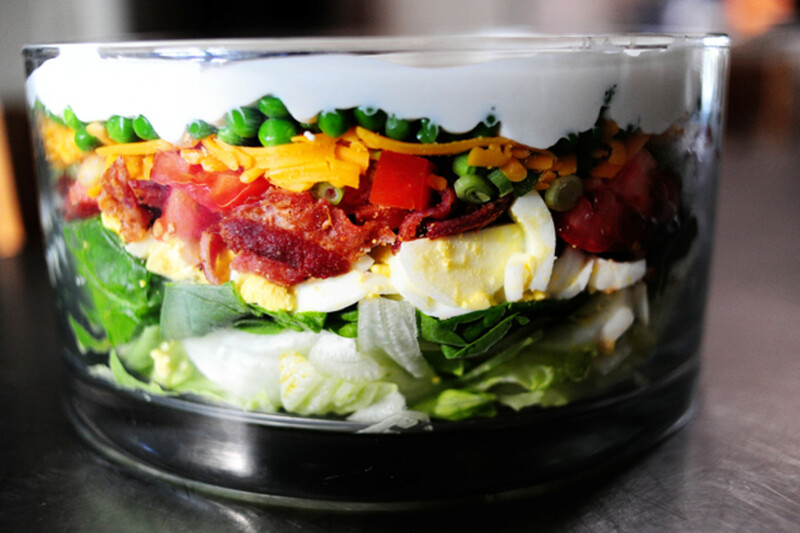 Who knows it could become a favorite dish in my house.